The collapse of Soviet influence and the disillusionment with socialism in the early 1990s led to ambitious programs of economic reform throughout Eastern Europe. The papers in this volume, written by anthropologists and sociologists with detailed first-hand knowledge of the rural areas concerned, explore the situation in several countries; account is also taken of the differences between them. 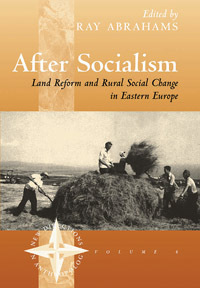 Not only are reform policies considered in the light of actual developments and reactions of villagers to changing circumstances; actual processes of land reform, the emergence of new family farms, and the creation of new forms of co-operative and joint stock company are described and examined well.